"When I was in high school in the 90s, we didn't have emojis. We had to use actual facial expressions." - Mr. Filmore (Chris Wylde) in "The DUFF"
I'm a sucker for teen movies, even though I'm at a point now, where, when I see teen comedies, I relate to the teachers more than the students. I feel old, yet I'm only four years older than the star of the new teen comedy, "The DUFF." Our heroine, Bianca Piper (Mae Whitman), is a senior in high school. At 26, Whitman totally works as an 18-year-old, and she, along with the great Allison Janney, who plays her mother, Dottie, is what keeps this movie afloat. A veteran supporting actress on TV, most notably as "Bland" Ann Veal, or Michael Cera's girlfriend, in "Arrested Development" and as Lauren Graham's daughter in NBC's "Parenthood," and even GREAT teen movies like "The Perks of Being a Wallflower" (2012), Whitman gets the opportunity to carry a movie here. She succeeds. It's not as game-changingly good as Emma Stone's work in the somewhat similar teen comedy, "Easy A" (2010), but Whitman has an endearing presence that works for me. To start, DUFF stands for Designated Ugly Fat Friend. This seems like sort of a mean way to start, yet, very soon after this title is bestowed on an unwitting Bianca by her hunky next door neighbor and old friend, Wes Rush (Robbie Amell), it becomes clear that this movie is not mean spirited at all. It plays into the new wave of high school and all its cliques and rules and schemes in the age of technology and does so in some smart ways, even if formula does keep this movie from greatness. Bianca is part of a group of three best friends, who work together on the school newspaper. The others, Jess (Skyler Samuels) and Casey (Bianca A. Santos), are of the hottest girls in school. Bianca seems to have missed the fact that she is the most traditionally unattractive of the three. But these hotties aren't "Mean Girls" and their friendship is true. This movie bases itself in Bianca' own internal struggles with denial, self-image, self-esteem, and trouble with boys. For help in rising above her DUFF status, of course, she enlists childhood friend and star quarterback, Wes, to help out. He needs to get his Chemistry grade up to play ball, so there's a standard trade off here. The way this movie treats the Wes character is probably the most unique thing this movie does, and Robbie Amell as Wes is incredibly likable. Like the "21 Jump Street" movie reboot with Channing Tatum and Jonah Hill, "The DUFF" understands that this is not the 80s and 90s and that high school kids, even the most popular jocks, can be sensitive, tolerant people. So, let's talk about formula here. This movie follows the formula of a teen comedy all the way. There is the makeover/dating coach thing. The whacky parent thing. The totally unbelievable high school party scene thing. The trading of services for social gain thing. The blinded by the unattainable crush thing. The evil "Mean Girl" bully thing. The goofy teacher thing. The school dance at the end thing. All of these "things" are done repeatedly in teen movies for the comfort of the audience. But...there is enough charm and humor in Josh A. Cagan's screenplay and witty delivery from the cast to help it rise above its formulaic plot, at least a little bit. First, the friendly chemistry between the two leads in Mae Whitman and Robbie Amell. It just works and is, to a great extent, believable. Second, Allison Janney as Bianca's self-help writer and guru Mom delivers the greatest bit in the movie, one that only my wife and I (the only people over twenty) laughed at in our screening, which is kind of sad in its own right. Third, there are some surprises in the plot that I didn't totally see coming until a certain late point, and that is a good thing. Fourth, the "Mean Girl," Madison Morgan (newcomer Bella Thorne), is as vicious as they come and does a great job. Finally, the goofy teachers are played by funny people. 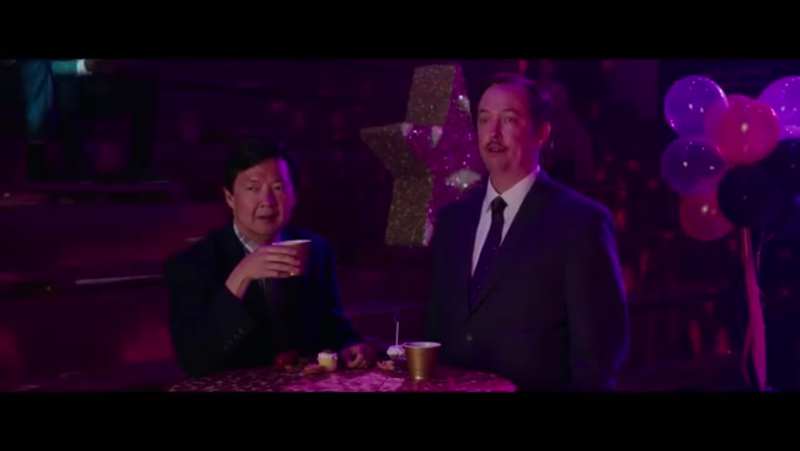 Ken Jeong as the newspaper sponsor, Mr. Arthur, is as funny as ever, even if he's done this bit before. Chris Wylde is great as Mr. Filmore, the one who loves the power trip. And Romany Malco as Principal Buchanon delivers some great, subtle humor that, as a teacher, I just love. Stylistically, there is enough to admire here. More and more, movies are catching up to the idea of technology and social media and how it actually really works. The conversations about social media are witty and the way they are portrayed is incredibly realistic. There is one scene in particular between Bianca and her two friends that is a perfect representation of how much social media there is out there and how we all seem to be on so many platforms these days. Added to this, director Ari Sandel and editor Wendy Greene Bricmont put together some really funny sequences, complete with humorous title cards and colorful graphics, that keep this movie somewhat original, though, of course, this idea has been done before as well. At least the jokes within these funny bits are fresh. I'm not sure I totally believe the end of this movie. It makes a little sense thinking back but it doesn't hit as hard as real life, and there is a lot of real life in this movie, even when it seems ridiculous. The idea of being "The DUFF" in a group of friends is totally real, even if it is hurtful. There is always one. I was one. 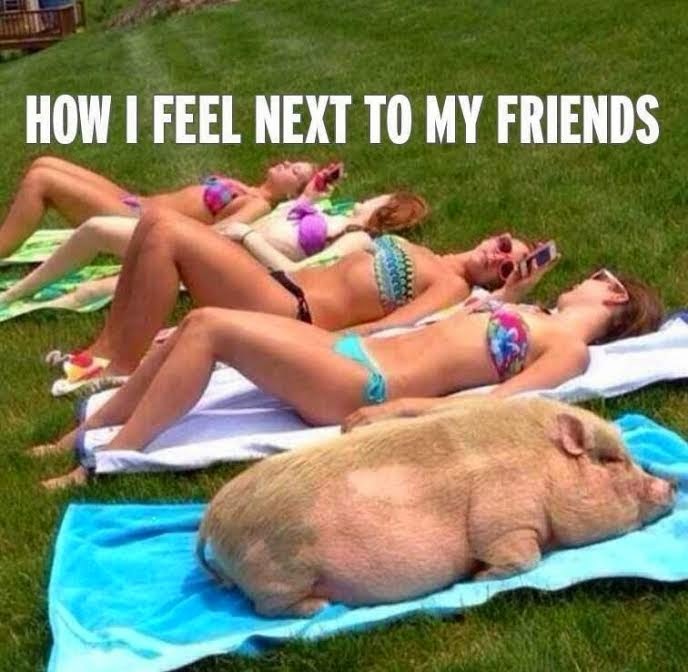 In my group of thinner, more prolific (with the ladies) friends, I had to play the wing man quite often. I had to take a few for the team, much like the freshman football player in the obligatory party scene who thinks he's getting hit on but is really just a filter for information about the senior football star and who he's dating. Alas, I made it out alive. There are lessons to be learned about growing up in "The DUFF." Sure, I wish there was even more realism in the fact that we don't come to some of these realizations about who we were in high school until way later. But I laughed and smiled watching this movie...often. And I was never bored. There's something to be said about that, and, as far as being my first new movie of 2015, I'm not disappointed. So glad you liked it! I saw it the weekend it came out, and I really enjoyed it. I didn't expect it to have as many laugh out loud comments as it did. They really borrowed from a lot from the teen films before it, but it didn't really feel like a rip off as much as it did an homage. They weren't trying very hard to keep the similarities a secret. As a Never Been Kissed super fan, I can tell you that there were a ton of subtle references to the film. My sister and I had a blast sporting them out. Thanks. I laughed a lot as well. Never Been Kissed is a great one. That one came out when I was in high school. Always liked it. Allison Janney has the ability to make everything better. I'm glad this film seems to be doing good though, I've read a lot of nice things about it. Thanks. Yeah. It's not totally necessary to go to a theater for it. I went based solely on mood. Wasn't feeling Will Smith, despite Margot Robbie. I'll catch Focus on the Blu-ray train. 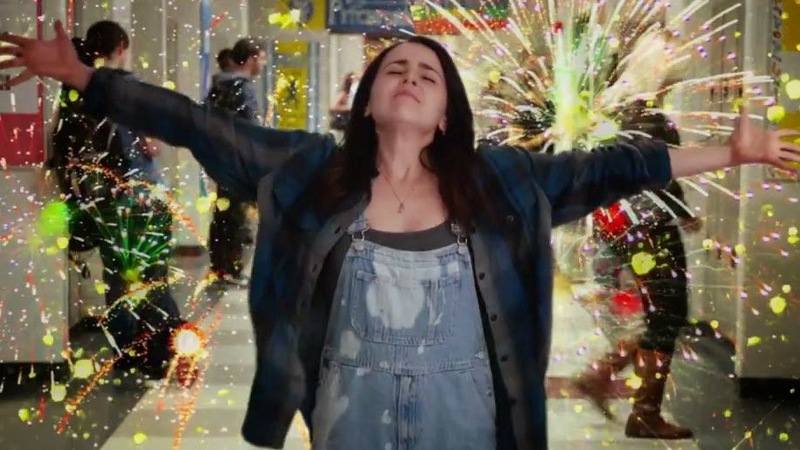 I love Mae Whitman, but she is getting on up there as far as playing teens is concerned. I bought it here. I feel so incredibly dirty for finding Bella Thorne hot, but how can you not. Like...UGH. Anyways, I want to see this, mostly because it's toted as the new Mean Girls, and that movie is just iconic on so many levels. Nice review. I'm intrigued. I know it won't be as good as Mean Girls, so my expectations are lower, so maybe I'll enjoy it more. Nah, man. She's an attractive young lady. It's good stuff, man. It's definitely no Mean Girls, but I see the connections. It's missing the huge talent and Tina Fey's writing. The plot of Mean Girls is just way beyond this one. But it's worth a watch. Teen comedies will always have a place in my heart. Well...the only promo for this movie I recall is the poster, and I thought the whole thing seemed kind of stupid. That is...until I read this. I will definitely check this out when given the chance. I love a good teen movie as much as the next guy. Possibly the next pervy guy....but still. Yeah. I saw a trailer awhile back online and never gave it a second thought. I was looking for something semi-mindless to go see on a Saturday afternoon, and this was playing. It's actually not that mindless after all. It doesn't stand up with the best teen comedies, but it's worth watching. I've gotten past the pervy feels. Haha! Most of these chicks are in their twenties anyway.